I don't get sick often. Since Sunday night, I have slept maybe 6 hours. The rest of the time, my head is stuffy and my throat is sore. My students were VERY accommodating, allowing me to teach in a more subdued fashion than I normally operate. 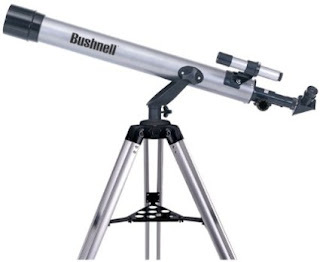 We began our discussion of telescopes today, exploring the differences between refracting and reflecting scopes, including pros and cons of each. For the record, I would happily accept either as a gift. It's hard for me to get excited about anything today when it feels as though I have an army of tiny people inflating balloons inside my sinuses. 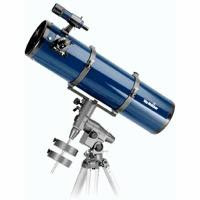 I am looking forward to setting up the school telescope and scheduling some night sessions. I need to start looking at star maps and find a time when we can observe planets as well as stars and the moon. In order to move closer to working on kinematics, the physics kids did a lab today on distance and time, setting Hotwheels cars down ramps. I finally got to break out the Speedometry box that Mattel sent me last year. I had another cool lab to do, but I didn't have the pieces for it, so it'll have to wait.